Wether you want to race your very first Sprint, Olympic, Ironman® 70.3 or Ironman® event, I can help you. My specialty is working with those who wish to enter the sport as a hobby, to those who have plateaued in their training and wish to become quicker and more efficient on the bike and the run. For those athletes wishing to go further than they thought possible to achieve their goals coaching has been an essential part of this process. To this end I specialize in coaching athletes who wish to improve their performance and wish to be further educated while they train. I believe in a quality approach to training (my athletes) knowing that the end result will only be as good as the input. I believe in coaching ‘by the numbers’ whilst balancing that with the individual needs and wishes of the athlete. 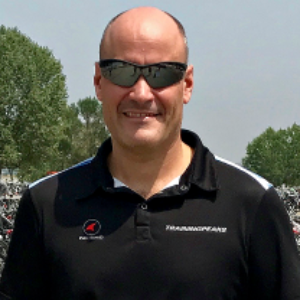 My credentials include USA Triathlon,Ironman®, USA Cycling Level III and Training Peaks™ Certified Coach. I am also a Vision Quest® Indoor Cycling Coach. I have a group running program in the Orlando area and we meet 2-3 times per week to run together - all levels welcome. If you want to come along and meet me and try out the program check out my website. If coaching is what you are looking for, then I am well trained to accept you. Coaching is a very personal choice and I have worked with many people from all industries and backgrounds. My strengths are clear and concise communication, both verbal and written. I am extremely enthusiastic for people and Triathlon. I am a natural leader and enjoy being around people and sharing my experiences and also finding out about what 'makes you tick'. Athletes who I coach must either own or be willing to purchase an indoor cycling trainer, train with HR and be willing to train with Power. Success. Coach James Lally has been notified of your message. To hire James Lally as your coach, select the coaching service that is right for you.